Historical men and women: Mary Seacole: the forgotten "Florence Nightingale"
Mary Seacole: the forgotten "Florence Nightingale"
Mary Seacole is now being given proper recognition for her contribution to nursing and the welfare of soldiers during the Crimean War. Everyone has heard of Florence Nightingale, the "lady with the lamp", but nothing like as much fame has fallen on the shoulders of Mary Seacole, although this oversight is at last being corrected. Mary was born in 1805 as Mary Jane Grant, in Kingston, Jamaica. Her father was a Scottish soldier, and her mixed-race mother ran a boarding house for British army officers. This lady had a smattering of nursing knowledge, as well as being well versed in the use of herbal medicines, skills which she passed on to her daughter. Little is known of Mary's early life, although she visited London in the 1820s, and in 1836 she was married to Edwin Horatio Seacole, one of her mother's house-guests, but he died within a few years. Mary ran the boarding house with her sister for some time, and also practised as a nurse, both in Jamaica and Panama, where she went to help her brother in running his hotel there. In 1854 the Crimean War broke out, with Britain and France in conflict with Russia, most of the hostilities being carried out near the shores of the Black Sea. The miseries suffered by the troops were partly the result of incompetence on the part of the generals and politicians, and partly due to the remoteness from Britain of the theatre of war. This was the first time that the British army had been called upon to fight so far from home or friendly territory. Mary Seacole sailed to Britain with the intention of volunteering for Florence Nightingale's nursing corps. Whether it was the colour of her skin or her lowly social status that was the issue is a matter for debate, but the fact remains that her office of service was turned down. Undaunted, she set sail for the Crimea at her own expense, arriving at Balaclava in February 1855. With a business partner, she did exactly what she had done back in Jamaica, and opened a boarding house that acquired the name "The British Hotel". From this base she offered a range of comforts for the troops, both officers and serving men. Being independent, and not constrained by the authority of Florence Nightingale's official nursing corps, she was free to roam almost as widely as she wanted, and she became a familiar sight as she moved among the fighting men with her mules, taking them food, wine and medical supplies. She clearly did this work at considerable physical risk to herself, as she tended the wounded and dying while the fighting was still in progress. On 9th September she obtained permission to accompany the army as it took control of Sebastopol, and was the first woman to enter the city. In 1856 the war ended, leaving Mary Seacole with no customers at the British Hotel, but plenty of unsold stock and unpaid bills. She therefore returned to Britain in financial difficulties, especially as her venture to open an establishment at Aldershot, where much of the British army was based, came to nothing. The Crimean War produced several remarkable people, one of them being William Howard Russell of The Times, who could claim to be the world's first modern war reporter (it was his account of the Charge of the Light Brigade that brought the true horror home to the British public). Russell was fully aware of Mary Seacole's activities in the Crimea, and his reports helped to win support for her financially. Queen Victoria came to know of her deeds, and gave her blessing to a "Seacole Fund" that recognised Mary's achievements and gave her some financial stability in her later years. She was prompted to tell her own story, which she did in an autobiography entitled "The Wonderful Adventures of Mrs Seacole in Many Lands", which became something of a bestseller. She died in 1881, in London, at the age of 76. However, after her death she faded from public memory and it is only in relatively recent times that her contributions to nursing and field care have been given their proper due. In 2004, she was voted in an online poll as the greatest ever black Briton. 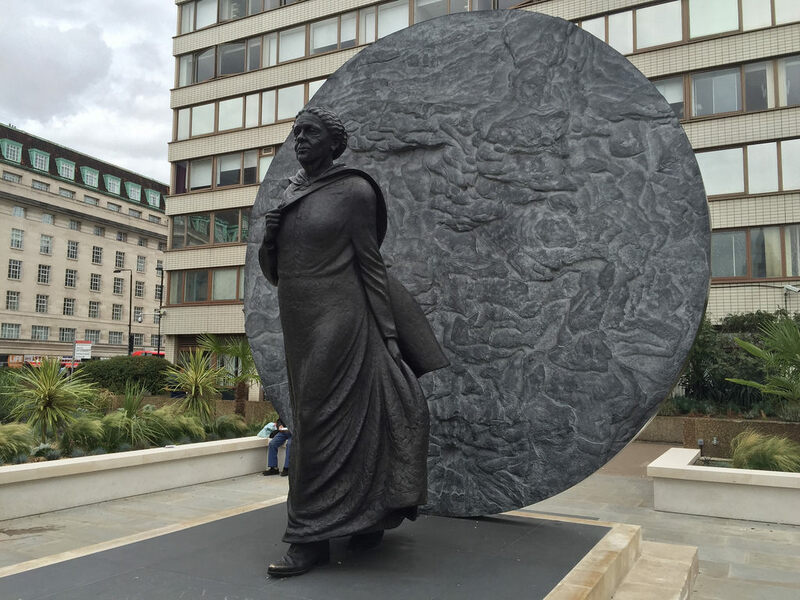 Following a 12-year fundraising campaign, in June 2016 a statue of Mary Seacole by Martin Jennings was unveiled in the grounds of St Thomas’s Hospital in London, looking over the Thames towards the Houses of Parliament. This is the first statue ever erected in the UK in honour of a black woman.